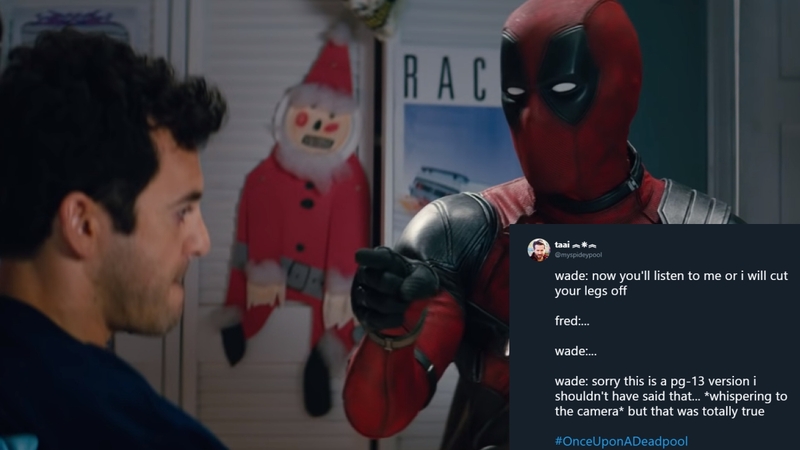 Of course, the official trailer for Once Upon A Deadpool snuck up on fans barely a month before Christmas. Described as a reimagining of Deadpool 2 "with zero F's given," the holiday offering due ot December 12 is rated PG-13, which means younger moviegoers will finally be able to see the Merc with a Mouth. Actor Fred Savage joins Ryan Reynolds in never-before-seen footage that pay tribute to the bedtime-story classic The Princess Bride, where the former starred in 1987. Do you seriously believe it's PG-13?